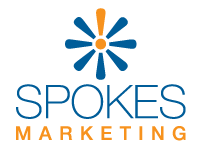 Jeff Spokes is the founder of Spokes Marketing. He has more than 19 years of Sales and Marketing experience working to help small and medium-sized businesses achieve their goals. His educational background includes a Master of Business Administration in Marketing and Bachelor of Science in Electrical Engineering. In 1991, Jeff began working with businesses to promote themselves on radio in the Northern Virginia area. He moved to Charlottesville, where he was the Sales Manager of a start-up radio station. In 1997, Jeff moved to Baltimore and worked at V103 as well as 92Q before becoming the Sales Manager of WWIN-FM and then WERQ-FM. In 2006, Jeff founded Spokes Marketing, whose mission is to “Help small and medium-sized businesses Find, Get and Keep customers with a structured Marketing Approach and Effective Media and Online Presence.” Since then, Spokes Marketing has helped dozens of companies utilize media effectively, create and enhance their web presence, and build their brand. Lynn Straus has 25 years of Sales, Marketing and Customer Service experience with a strong background consulting Government and Corporate accounts. Lynn takes pride in providing the highest level of customer service to her clients. She enjoys working with clients to ensure their success. Fawn has more than 15 years of experience as a graphic artist and loves all things creative. She has her fine arts degree in communication design from Kutztown University and a masters in publication design from the University of Baltimore. Fawn loves thinking through the creative process from concept to creation while keeping an eye on the big picture…end results! Fun fact about Fawn, she's a twin!